Cheshire Falconry work together with Cheshire Segway to offer something completely different. Unique Segway Gliding Experiences in the Cheshire Countryside. 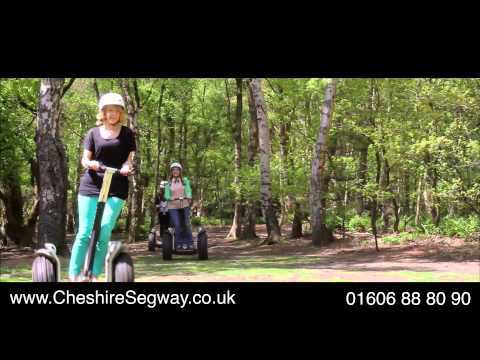 Experience the thrill and fun of Cheshire Segway as you prepare to arrive and glide! AGE 11YRS-Adult (Under 16 must be accompanied by an adult). We offer a Woodland Glide! The session begins with an initial Gliding Guide to ensure you are able to manoeuvre your Segway PT (Personal transporter) through woodland and countryside. Then you will be ready to take in some fantastic scenery as you take your Segway PT through woodland to our Segway Track nestled deep in the Woods. The track will improve your speed and skill and you’re sure to have a fantastic time on this amazing woodland experience. A Falconry and Segway Combined Experience. (Please telephone 01606 882223 for details). Corporate Team Building Experiences at your venue or ours. Private Parties and Birthday groups at your venue or ours.